Some of the 2015 production liveries have been unveiled this week at the ECIMA Motorcycle show in Italy. As you know, SMD is about liveries and design, not performance, which I love but to talk about too, but I leave that to the experts! 1st, The Yamaha R1M. I would love to know who is their graphics designers or creative director! they do a great job, consistent style/branding from their production bikes to their GP ones. Production graphics are HARD, because they need to be minimal and yet make a statement AND represent the brand year after year. This Yamaha R1M does just that. Next, what will probably be my next bike! (I hope is not super expensive) The Honda RC-213V-S, Honda's answer to the Ducati Desmocedici, a street MotoGP bike. I like this livery, but in general, I think Honda is not at the level of Yamaha, Aprilia or Ducati when it comes to production liveries, what do you think? Love the bike designed by SMD in Metallic Silver! Special Livery for the 2014 Malaysian GP! Gino Borsoi the manger told me he wanted it this color for the whole year, but that this the of paint is SO expensive and with the crashes, impossible. Recently I connected with the SOTS guys, been a fan not only of their bikes but the liveries they do on them! As you may or may not know, they design, post and people choose from their designs. But then by coincidence, Aprilia came out with silver as well for their WSBK RSV4 looking awesome! 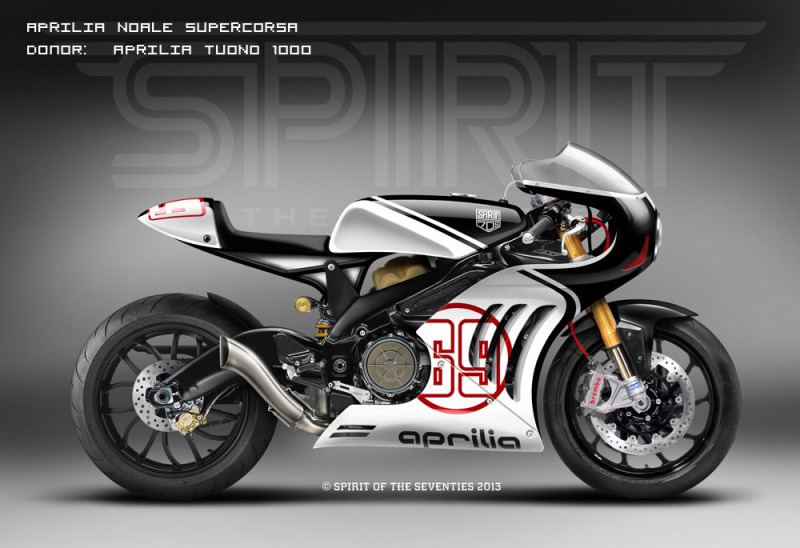 Talking to Miguel Galluzzi, the designer for Aprilia, told me that they came up with it and did it in three days! Lets look at silver liveries from the past and present. Silver in racing has a GREAT history, is a MUST have. Wait till you see when this one below is done! for posible work for the Piaggio Group, keep you posted! Recently I went to SMD's designer Howie's son's karting race event. Of course everything that has wheels, an engine and is racing has cool liveries! This is Howie's son....numero uno! mind you :) and Kart livery by Howie. Continuing with the series of iconic liveries on different type of vehicles. can be done on different vehicles and a bit of the history on it.